Tis the season for college hoops. March madness is in full swing. Brackets have been set and offices everywhere are divided. 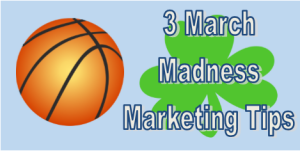 While you’re cheering on your favorite team (or the random bracket pick in hopes of winning the office pool), think about all the marketing lessons to be learned from all the hoops hoopla. 1) Build brand recognition. There are no huge announcements necessary. For many people, this time of year is synonymous with the NCAA March Madness tournament. People “just know.” This type of recognition should be the goal for your firm. When people think about [insert practice area], they should “just know” that your firm is the best choice. How do you build this recognition? Be consistent: The NCAA March Madness tournament is held the same time every year. Your marketing efforts should be consistent. If you are going to blog—be consistent. If your firm is going to be active on social media—be consistent. 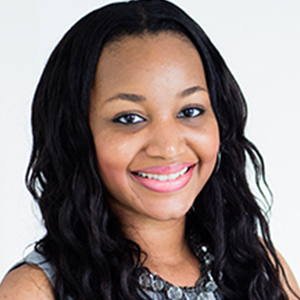 Tell your story: The one thing that you have to offer over other firms is you. You are the brand. Beyond cheering on teams, fans are drawn in by the stories of the athletes. Everybody is a sucker for a good story. Think about ways you can tell your brand’s story whether it be sharing why you’re passionate about the law or providing profiles for your attorney’s on your firm’s site. Go where the people are. Everywhere you look there’s a sign, a video, a tweet or even a conversation surrounding the NCAA tournament. The NCAA does a great job of keeping the conversation going and remaining visible. You must go where the clients are. Social media is a marketing gold mine. Being active on social media will expand your brand’s reach, give you an opportunity to join legal conversations and stay visible. 2) Give the people what they want. NCAA is driven by the fans, much like your firm is driven by clients. It’s important to give your clients what they want. You should always be accessing the needs of your clients and adapting accordingly. Be sure that your clients have access. This is key and with the ever changing world of technology it’s important to make sure your clients have access to your legal services. This includes having a mobile friendly website, email marketing and social media. Just think about all the ways basketball fans are able to access games. 3) Create fresh content that builds interest. A major part of March Madness is all the commercials and “top 10 lists” and interviews that come along with the tournament. Creating fresh content for your website, blog and advertising will build clients’ interest. Infographics and videos are great visual content that will help people potential clients’ interest. While bracket picks won’t always work in your favor, we hope these tips help you score a slam dunk with your marketing efforts.